Florentine beauty tucked away at the end of the street with green space around for quiet privacy. 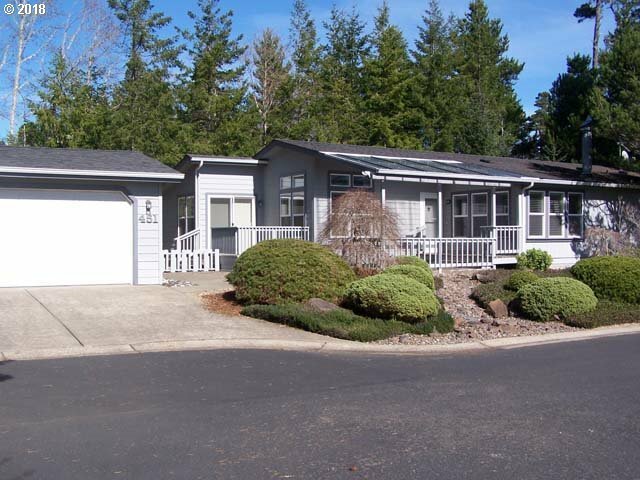 This 1994 Golden West triple-wide has been lovingly maintained & is move-in-ready. Lovely landscaping & large covered porch welcome you into this open concept floor plan w/ bonus room, vaulted ceilings, skylights, pantry & soaking tub. Decks for outdoor enjoyment, fenced backyard and 2-car garage complete the deal. A Florentine MUST SEE!